A US court is to rule on a battle over BBC recordings by artists including The Beatles, The Who and Led Zeppelin. Fleetwood Mac star Mick Fleetwood's company Bee Load filed a lawsuit saying BBC Worldwide broke off an agreement to let them release 100 artists' sessions. BBC Worldwide asked a Maine Superior Court judge to dismiss the case so it could be heard in London's High Court. But Justice Thomas Humphrey denied the request, Bee Load's lawyer Paul McDonald told BBC News Online. Bee Load was set up by Fleetwood and his accountant Joseph McNulty, and says it has two contracts with BBC Worldwide to release CDs of archive material. Those deals would let Bee Load pick 100 artists from the BBC archive. 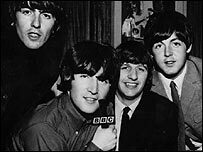 Many of the biggest names in music have recorded for the BBC, and many sessions are still unreleased. Some 14 hours of unreleased recordings by The Beatles were among the material covered. But BBC Worldwide went back on those deals, sparking the lawsuit, Mr McDonald said. "Our position is that neither one of those contracts was properly terminated, and that Bee Load still holds all the rights to this archive material," he said. Among Justice Humphrey's reasons for not dismissing the case was that - although Bee Load is officially a British company - its main place of business is Portland, Maine. A period of "discovery", during which information and documents would be exchanged between the two sides, is expected to last until August. BBC Worldwide, which handles commercial deals to distribute BBC resources such as TV shows, books and music, was unavailable for comment.